I'm still ill. But I really had to try this new Essence topper which is very similar to L'oreal confetti topper. The brush is so much better and the price is lower. I have nothing but love for this nail polish! 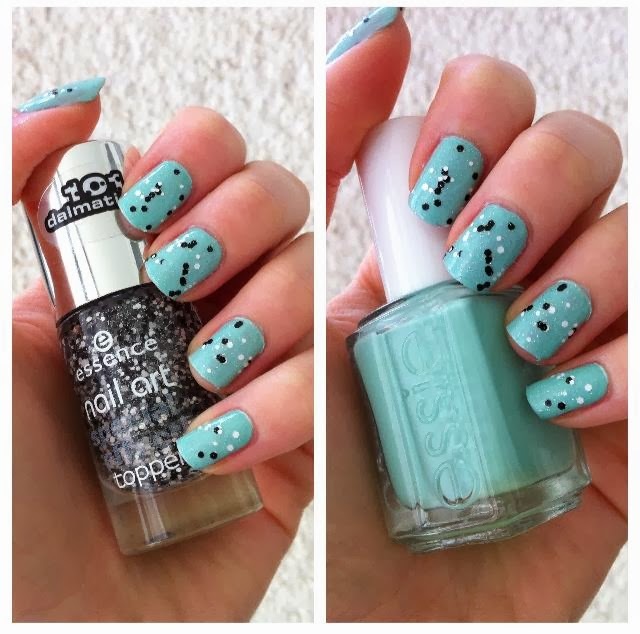 I used : Essie mint candy apple nail polish and essence topper. I'm gonna spend the rest of the day in my bed and hoping for the best. Ful lepo zgleda. Res je podoben L'Orealu :) Kmalu se pozdravi..